SDF announced that 14 ISIS members have been killed on the eastern front of the Euphrates during the past 24 hours. 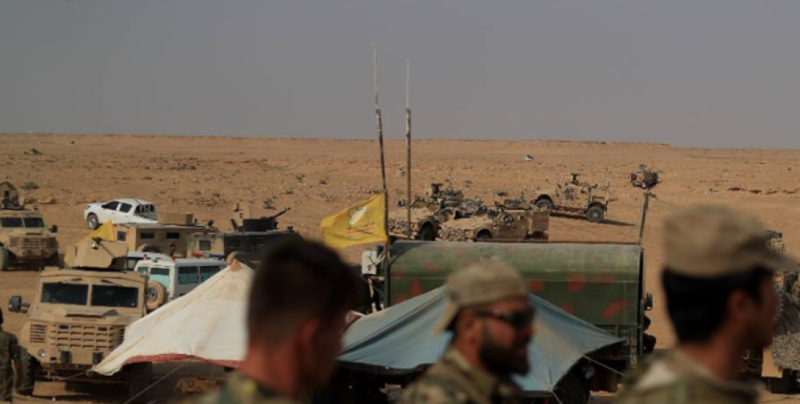 The Press Office of Syrian Democratic Forces (SDF) has announced the balance sheet for the past 24 hours in the final phase of the Operation Cizire Storm launched against ISIS to the east of the Euphrates. “On the Al-Bagouz Fawqani front, fierce clashes are continuing since Saturday evening. ISIS mercenaries in the region have tried to advance on the points that our troops had liberated but their attempts were foiled through resistance. Mercenaries used motorcycles and heavy artillery shelling in this attack. During these clashes a number of mercenaries were killed and two of our fighters were wounded. In the early morning hours of this day, our forces advanced and managed to liberate 4 vital points inside the Al-Bagouz Fawqani village. Later, our forces advanced on the main road in the village, as special teams were able to destroy the roadside explosives planted on this street. On the front of Sousse, our forces have made advances amid violent clashes with mercenaries. The field commanders confirmed the killing of 4 mercenaries. The mercenaries in this area are trying hard to hinder the advance of our forces through artillery and sniper fire, and are planting a number of mines in this territory. Two of our fighters fell as martyrs and two others got wounded during continued fierce fighting in this area Saturday evening. Violent clashes on this front continue uninterrupted since last night. Our fighters advancing here have liberated another point from mercenaries. While a suicide bomber blew himself up, at least 8 mercenaries were killed during the fighting. The International Air Force carried out three strikes targeting the mercenary concentrations, as well as five rocket attacks targeting their fortifications.